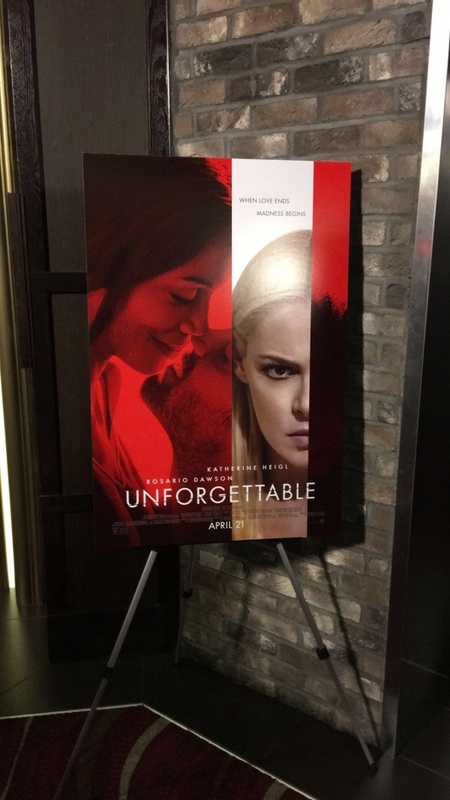 Synopsis: Warner Bros. Pictures’ dramatic thriller “Unforgettable” is the first film in the director’s chair for veteran producer Denise Di Novi (“Crazy, Stupid, Love,” “Focus”). 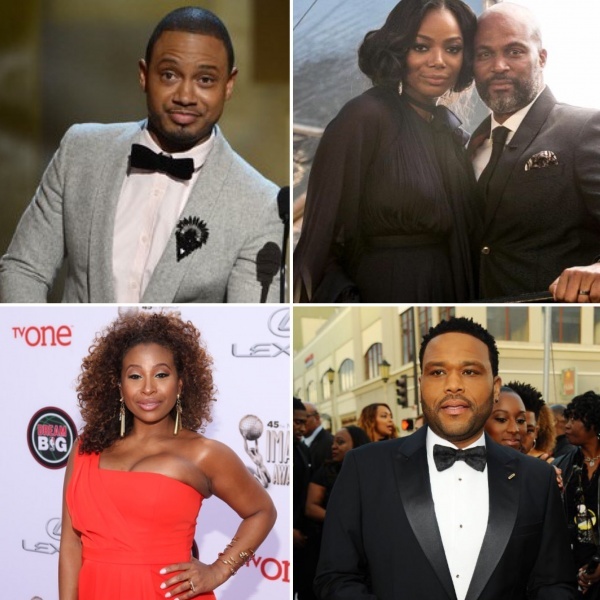 The main cast also includes young actress Isabella Rice (“True Blood”), Simon Kassianides (TV’s “Agents of S.H.I.E.L.D.”), Whitney Cummings (“The Wedding Ringer”), Robert Wisdom (TV’s “Ballers”) and film and television star Cheryl Ladd. 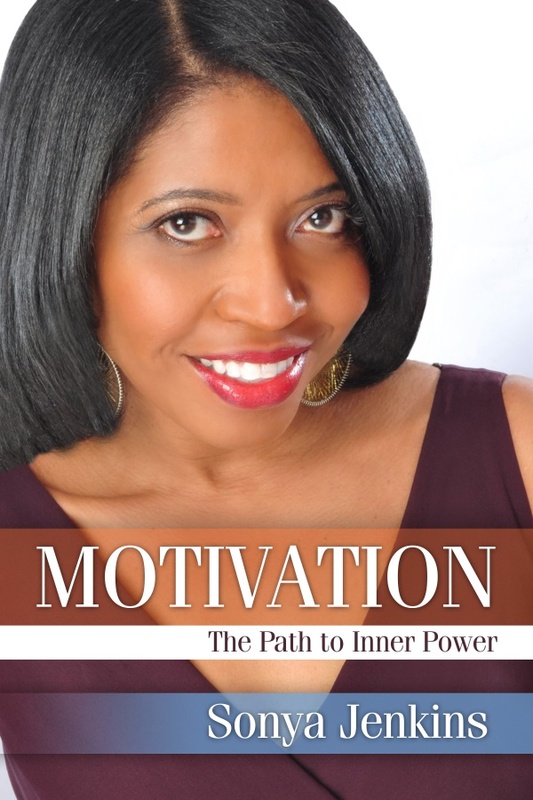 The film is produced by Di Novi, Alison Greenspan (“If I Stay”) and Ravi Mehta (“Grudge Match”), with Lynn Harris serving as executive producer. 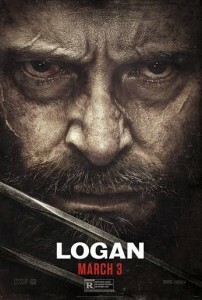 The film was written by Christina Hodson. Heigl stars as Tessa Connover, who is barely coping with the end of her marriage when her ex-husband, David (Stults), becomes happily engaged to Julia Banks (Dawson)—not only bringing Julia into the home they once shared but also into the life of their daughter, Lilly (Isabella Rice). 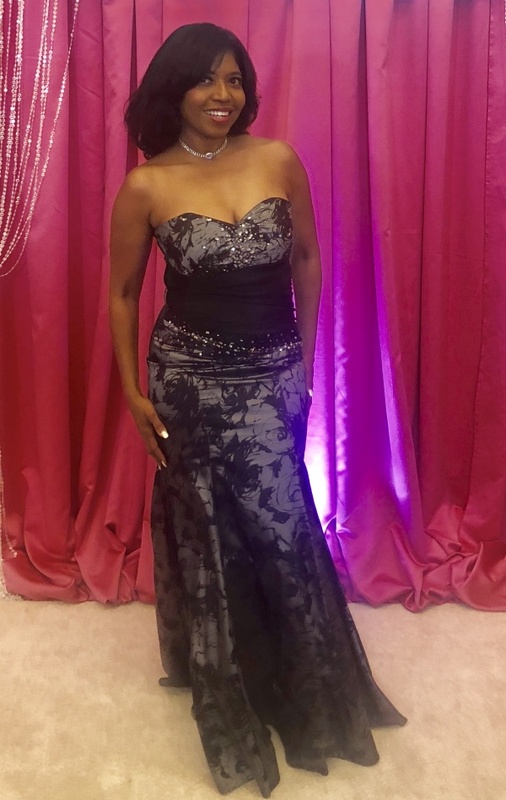 Trying to settle into her new role as a wife and a stepmother, Julia believes she has finally met the man of her dreams, the man who can help her put her own troubled past behind her. But Tessa’s jealousy soon takes a pathological turn until she will stop at nothing to turn Julia’s dream into her ultimate nightmare. 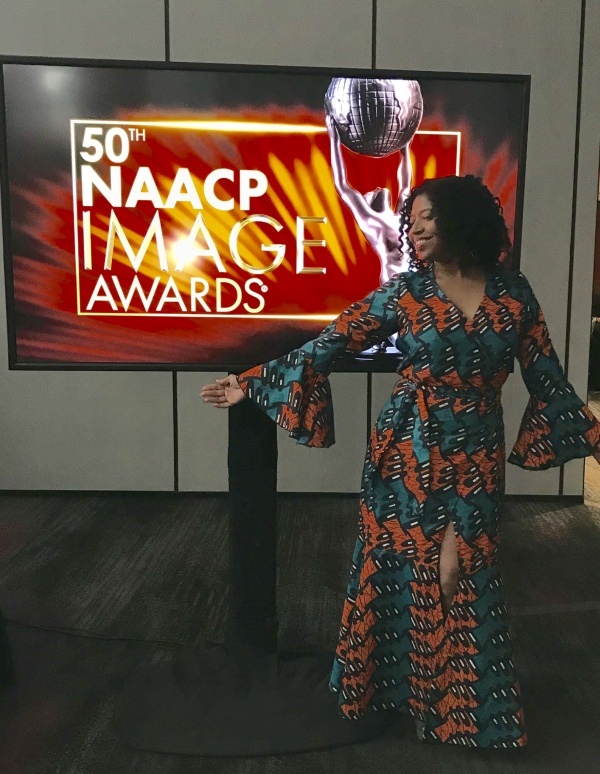 The behind-the-scenes creative team is led by multiple Oscar-nominated director of photography Caleb Deschanel (“The Right Stuff,” “The Natural”), production designer Nelson Coates (“Flight”), editor Frédéric Thoraval (“Taken”), and costume designer Marian Toy (HBO’s “Ballers”). The music is composed by Toby Chu. 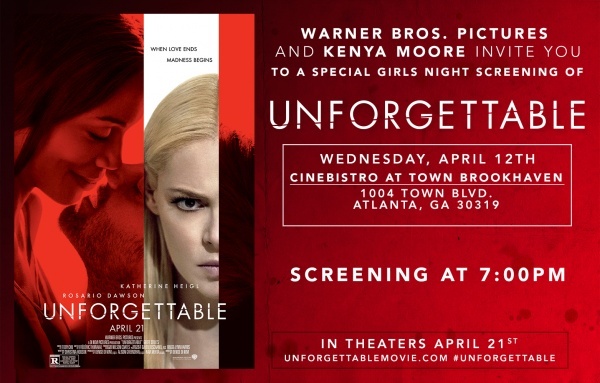 Warner Bros. Pictures presents a Di Novi Pictures Production, “Unforgettable.” Opening April 21, 2017, the film will be distributed by Warner Bros. Pictures, a Warner Bros. Entertainment Company. 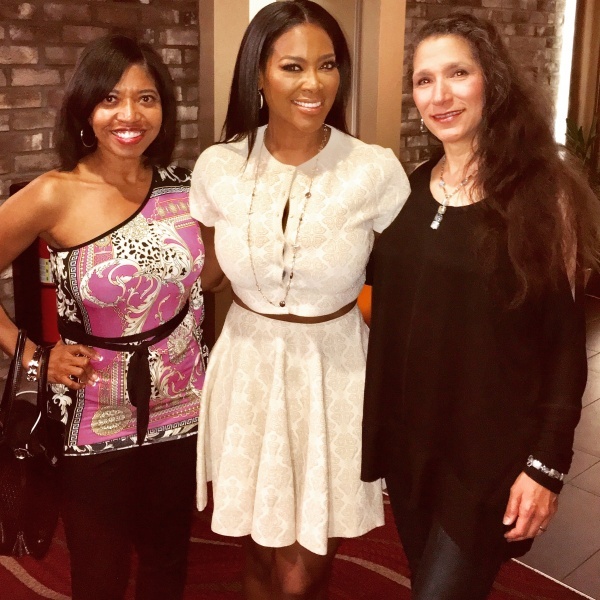 UNFORGETTABLE screening hosted by Kenya Moore in Atlanta. 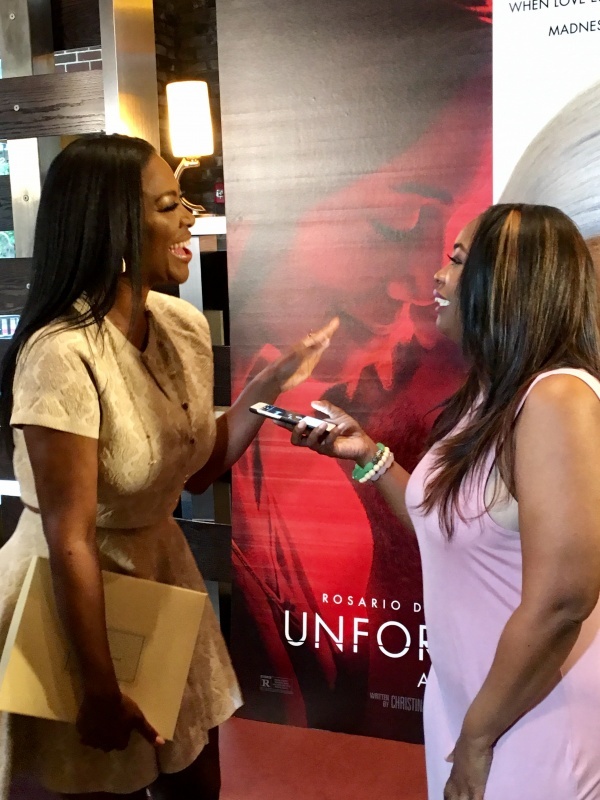 In advance of the film’s debut, Warner Bros. partnered with actress and Real Housewives Of Atlanta’s Kenya Moore to host a private screening of the film for her celebrity friends and fellow influencers Wednesday, April 12th @ Cinebistro 7 @ Town Brookhaven – Atlanta. The special “Girls Night Out” screening gave special invited guests an early look at the movie. They enjoyed cocktails while mingling before the film began. 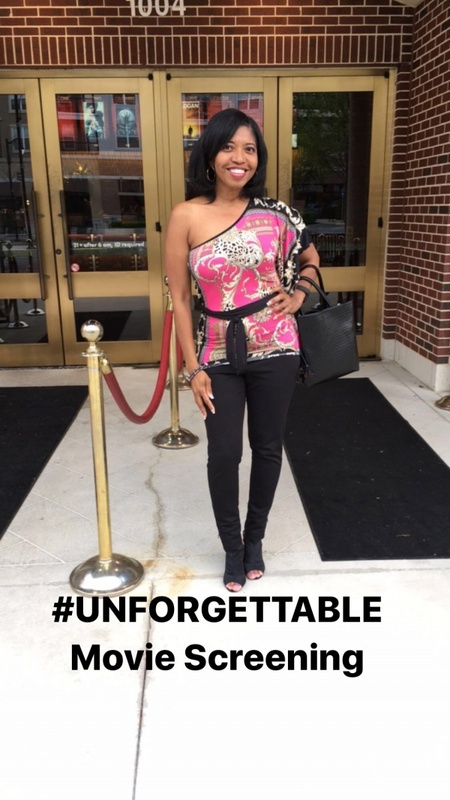 Kenya introduced UNFORGETTABLE to the audience and chatted with bloggers about some “unforgettable” moments in her own life. 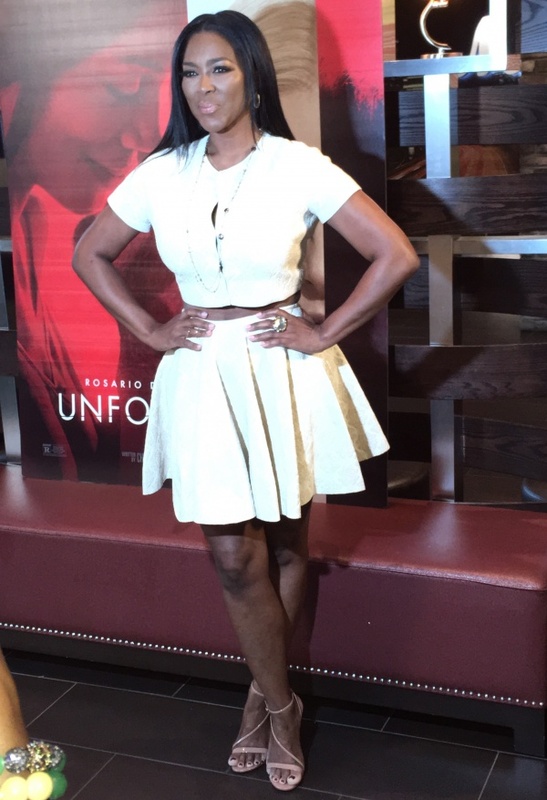 Kenya Moore hosts “Unforgettable” screening in Atlanta.